An unprecedented outbreak of yellow fever in Brazil continues to spiral, official figures show. Health chiefs in the South American nation have announced the killer disease’s death toll has now reached 260. And 846 people are known to have been infected with yellow fever, which causes yellowing of the skin and is spread by mosquitos. Aid workers warn this is Brazil’s largest outbreak of the deadly disease in 18 years – topping last year’s mammoth 777 cases. Brazil’s Health Ministry is now aiming to vaccinate more than 23 million people across the country, with major cities being hit hard. Thousands of foreign travellers were advised in February to get immunised against yellow fever in the run-up to the annual Carnival celebrations. Yellow fever is commonly found in tropical and subtropical areas. 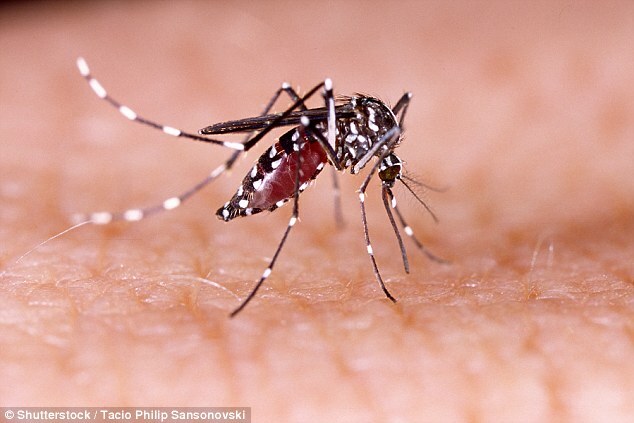 The mosquito-borne virus usually kills up to eight per cent of people it strikes. Nearly 200,000 cases and 30,000 deaths of the deadly disease are reported worldwide each year.